In an effort to provide educational material to the lighting community, we continually strive to support the many generations of lighting engineers. We know many lighting professionals with years of experience may be very astute in some of the topics we offer. However, the audience is shifting. Many younger engineers having multi-disciplinary educations are eager to further their knowledge in lighting design, engineering and specification development. Mercury vapor lamps were the first high intensity discharge lamps to be commercially available for a wide variety of lighting applications. Most models produce a bluish-white light. Mercury vapor lamps are gas discharge lamps that uses an electric arc through vaporized mercury to produce light. 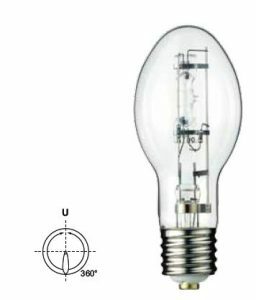 The arc discharge is generally confined to a small fused quartz arc tube mounted within a larger glass bulb. The advantage is that it produces a bright white light, with relatively long life. 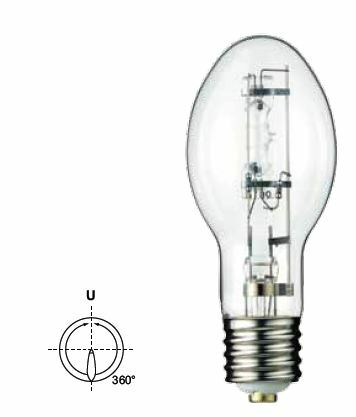 The outer bulb may be clear or coated with a phosphor. Mercury lamps are available in medium and mogul base versions; and while most wattages require a ballast to operate, some have an internal start that does not require a ballast (often referred to as “self-ballasted” mercury). Historically, the advantages of Mercury vapor lamps is that they are more energy efficient than incandescent and most fluorescent lights, especially for outdoor applications, with luminous efficacies of 35 to 65 lumens/watt. 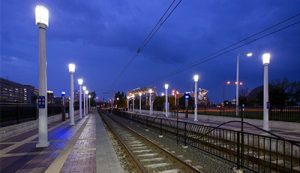 In addition, their long bulb life (in the range of 24,000 hours), along with a high intensity, clear white light output has made them ideal for outdoor use such as landscaping and street lighting applications spanning many decades. Clear mercury lamps produce white light with a bluish-green tint due to the chemicals used within the arc tube, which is mostly mercury. Because of this, mercury lamps are not suited to render human skin color well, so such lamps are typically not used in retail stores, schools, hospitals and other similar commercial applications. Conversely, in landscaping applications, they make plants and trees look extremely rich and vibrant, as they bring out the green color of foliage beautifully. In recent years, the advent of color corrected mercury bulbs helped improve the problem of color rendering using a phosphor on the inside of the outer bulb that emits better white light. 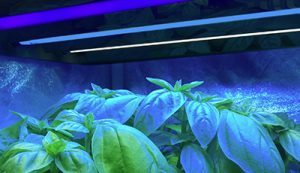 This phosphor technology offers better color rendition than the more efficient, high or low-pressure sodium vapor lamps, but still falls short of metal halide and ceramic metal halide sources. While many applications are ideal for Mercury vapor lamps, they are being challenged by the higher efficiency and better color balance of metal halide and ceramic metal halide lamps, and LED technologies. As in any lighting design, typical lighting design considerations for mercury lamps should include, first and always, the application. 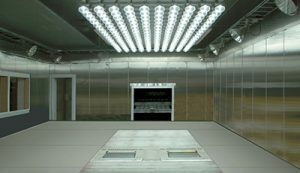 Determine required and desired light levels, energy efficiency requirements, intensity and clarity of light, length of life and costs. Mercury vapor lamps have been used in lighting applications, from streets and parking lots, to landscape lighting, to factories and gymnasiums since the 1940’s. They are more energy efficient than incandescent lamps and have a much longer life. The disadvantage is they do not flatter the human skin color thereby making them not an ideal technology for indoor applications. They are exceptional sources, though, for landscape lighting applications. NextNext post:Are Mercury Lamps Still Legal? Are Mercury Lamps Still Legal?